The following day John was again standing with two of his disciples. As Jesus walked by, John looked at him and declared, "Look! 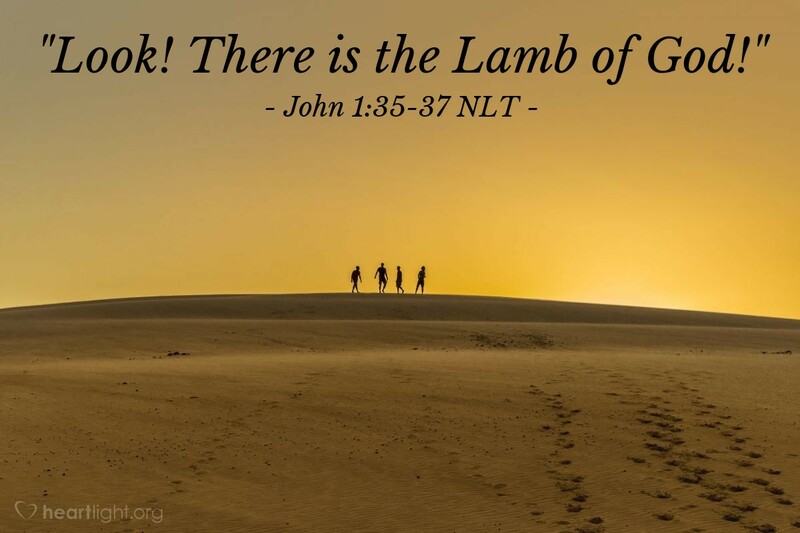 There is the Lamb of God!" When John's two disciples heard this, they followed Jesus. John had already talked about Jesus being the "Lamb of God who takes away the sin of the world" (John 1:29). This time, however, his identification of Jesus as the Lamb of God provokes a response from two of his own disciples. They followed Jesus. They shifted their allegiance from the human messenger to the glorious Message. As disciples of Jesus, our goal is to resist preacher or teacher infatuation — our faith shouldn't be built on a preacher, a pastor, a teacher, an evangelist. We should remember the goal of their ministry is to get people to follow the Savior. Make sure your faith and hope are tied to Jesus and not to one of his messengers. The glory of any preacher's or teacher's message is Jesus, not that messenger's style or personality. Let's make sure we follow Jesus; our doing so should be is the true objective of a Christian messenger! Father, thank you for those who have powerfully influenced my life toward faith. Your messengers who taught me about Jesus, stirred my heart to faith, and called me to righteousness are precious to me. However, dear Father, please guard me against valuing your messengers so much that I forget to seek Jesus as your living and enduring Word. By the power of your Holy Spirit, nudge me away from an over-dependence upon human messengers and help me to follow your Son wholeheartedly. In Jesus' name, I live and pray. Amen.